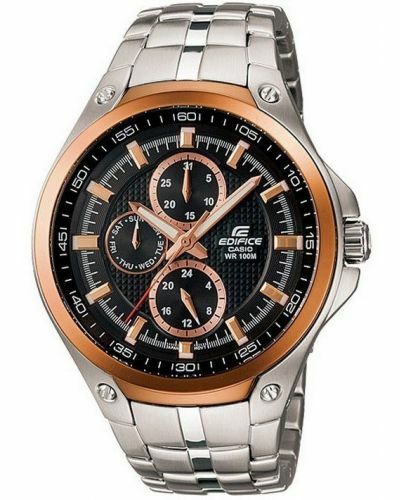 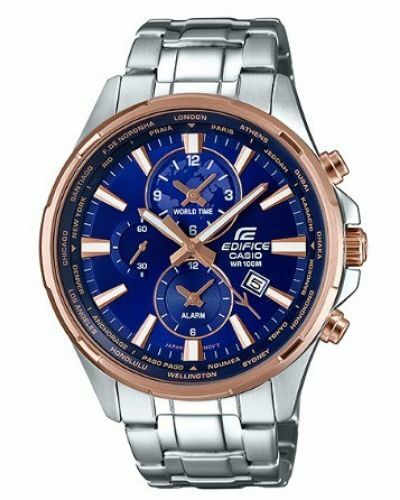 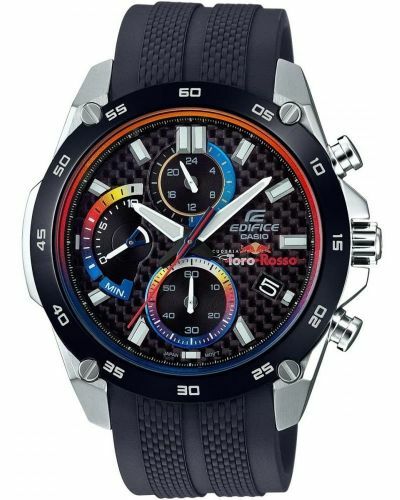 Casio have created a beautiful mens watch that can be worn both day and night. 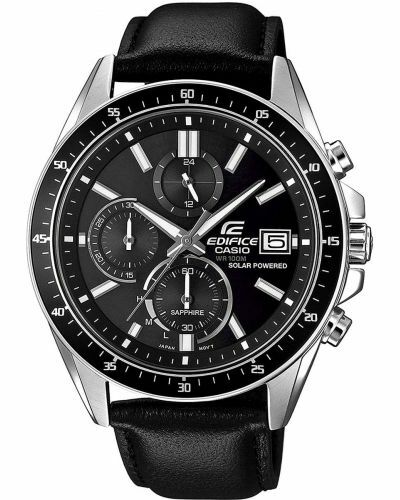 The all black dial sets off the part polished, part matte finished bracelet with fold over safety clasp. 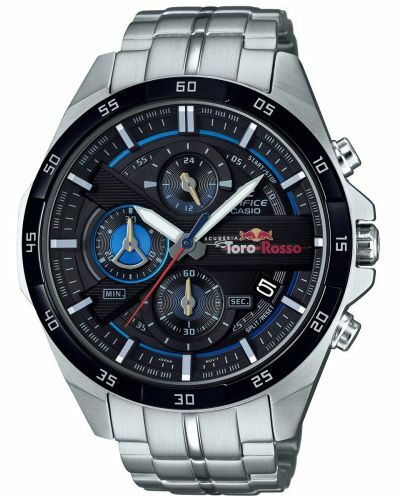 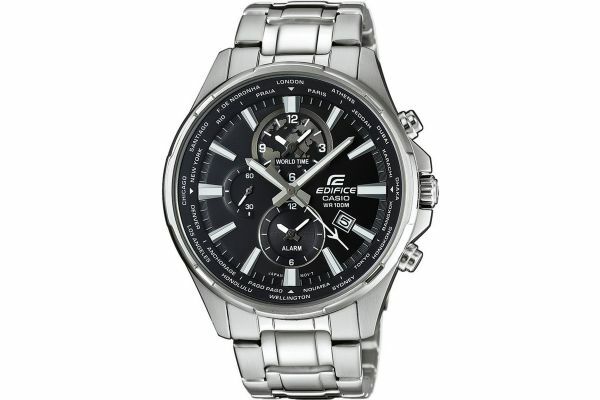 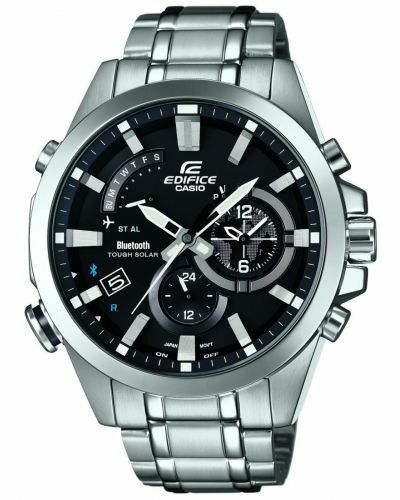 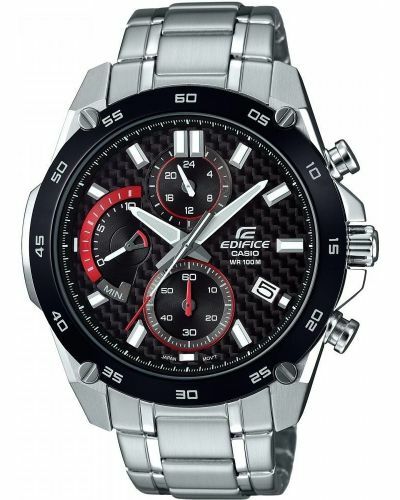 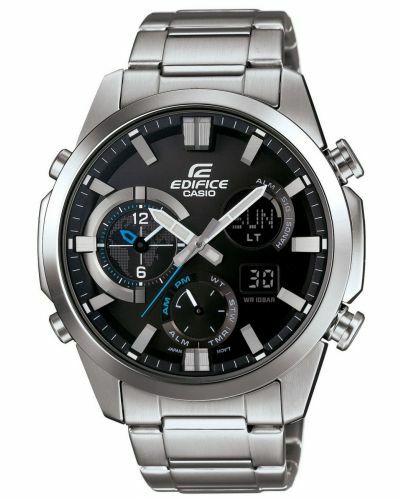 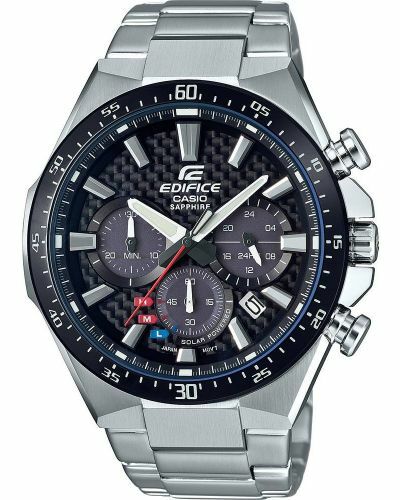 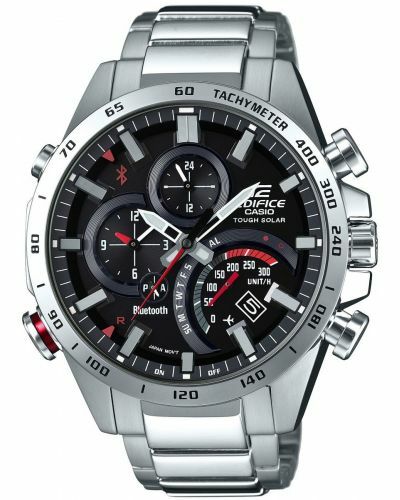 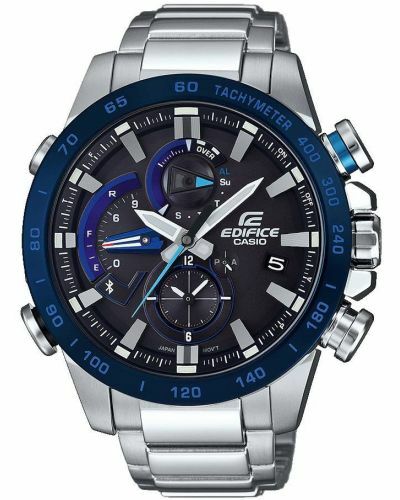 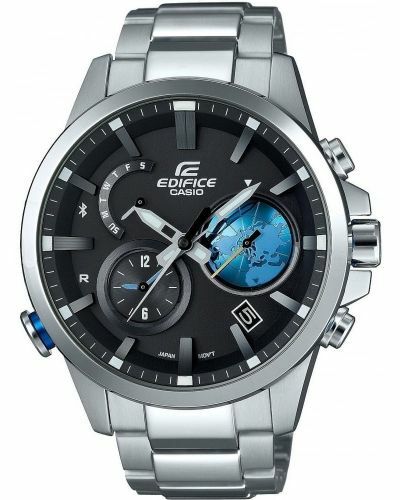 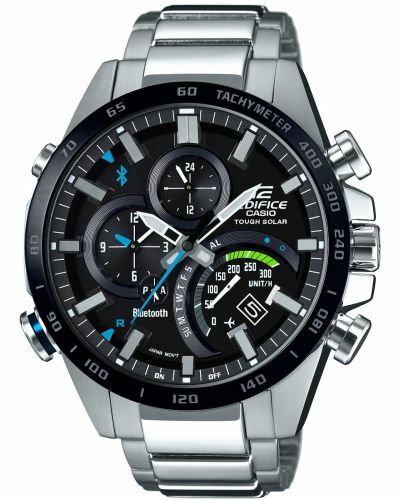 The outer dial has the names of all major cities cited to complete the world time function this watch offers. 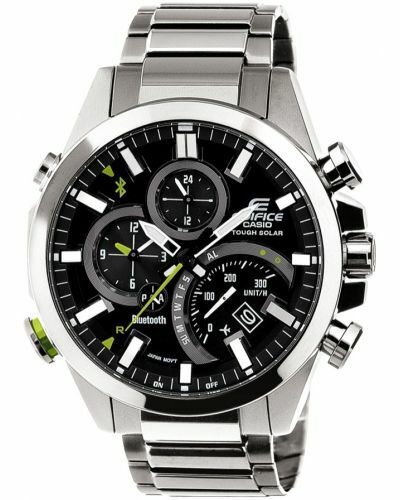 Alongside the multi time zone, this piece boasts an alarm, chronograph, the date and luminous hands and batons.